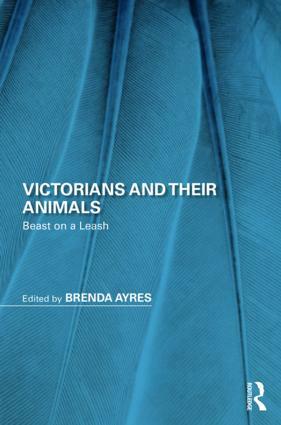 Victorians and Their Animals: Beast on a Leash investigates the notion that British Victorians did see themselves as a naturally dominant species over other humans and over animals. They were conscientiously, hegemonically determined to rule those beneath them and the animal within themselves, albeit with varying degrees of success and failure. The articles in this collection apply posthumanism and other theories, including queer, postcolonialist, deconstructionist, and Marxist approaches in their exploration of Victorian attitudes toward animals. They study the biopolitical relationships between human and nonhuman animals in several key Victorian literary works. Some of this book’s chapters deal with animal ethics and moral aesthetics. Also being studied is the representation of animals in several Victorian novels as narrative devices to signify class status and gender dynamics, either to iterate socially acceptable mores, to satirize hypocrisy or breach of behavior or to voice social protest. All of the chapters analyze the interdependence of people and animals during the nineteenth century. "As expected, this collection validates a concern for the inherent value of animals. But the additional inclusion of leashing the beast within ourselves in light of contradictory social impulses adds an interesting and necessary perspective to a collection on Victorian human/nonhuman relationships." "As people today grapple with issues like their own humanity, their responsibility for the planet, their relationships to other species along with various kinds of reciprocity, how humans have considered these relations in the past is becoming more relevant – and in fact, more urgent to think deeply about. As Ayres explains, the conflicted and conflicting Victorian ideas about animals are valuable as twenty-first-century people consider our fraught relations with the planet today." Brenda Ayres teaches English for Liberty University in Lynchburg, Virginia, and has previously edited several collections of essays. The most recent is Biographical Misrepresentations of British Women Writers: A Hall of Mirrors and the Long Nineteenth Century (2017). Her latest monograph is Betwixt and Between: The Biographies of Mary Wollstonecraft (2017). She published her first article on animals in Victorian literature in The George Eliot–George Henry Lewes Newsletter (1991), titled "Dogs in George Eliot’s Adam Bede." She began collecting information on the subject when she created a panel at the Southern Conference of British Studies in 2000 titled "Animals in Victorian Literature" and presented "The Iconization of Animals in Victorian Culture." Two years later she spoke on "Beast on a Leash: Victorian Dominion over the Animal Kingdom" at the Mid-Atlantic Popular Conference.